The holidays are behind us, the tree is down, and the gifts are put away. But wait, you may have a problem! In some cases, you may need to update your home insurance or auto insurance in order to maintain the proper personal insurance coverage. Many of us may have purchased gifts that increase our personal liability, and we thought it might be good to review these items. If you have any of these items, please call your agent today. 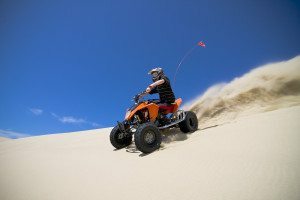 ATVs, motorcycles, boats, and RVs are not covered for damage or liability without an endorsement to your personal insurance policies. If you bought an expensive ring, watch, or other item, it needs to be insured separately for loss and theft.